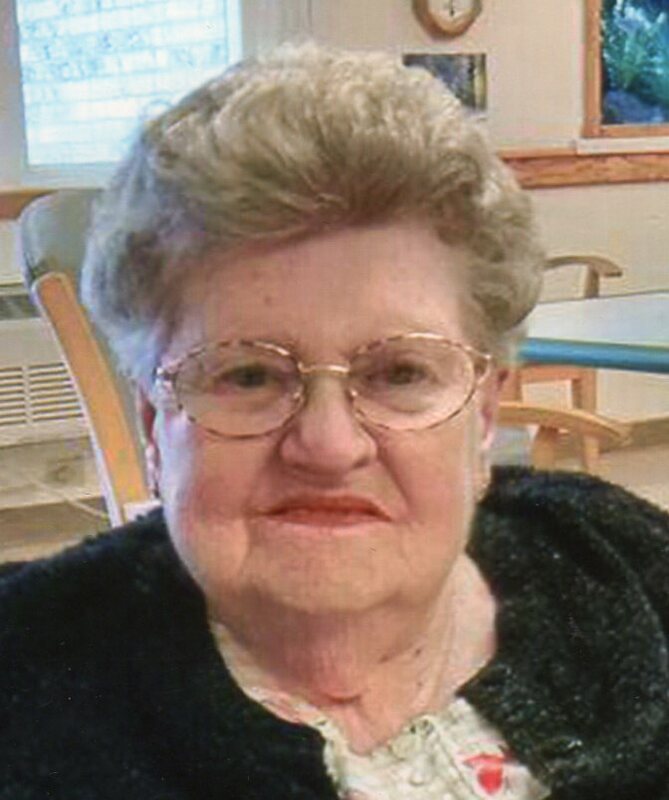 Nancy A. Randel, 84 of Bryan, OH and formerly of Fremont, passed away on Tuesday, December 26, 2017 at Community Hospitals and Wellness Centers in Bryan. She was born May 20, 1933 in Clyde, OH, the daughter of Lloyd T. and Margaretta (Wurzel) Hall. Nancy married Dale A. Randel on February 14, 1953 at the home of Pastor Michael Yeagel in Lindsey, OH and he preceded her in death on September 14, 2009. She was a homemaker and enjoyed craft work, bingo, April Fools jokes, dining out, senior trips, playing cards and craft shows. Nancy is survived by her daughters, Kathy Bollenbacher, Bellevue, OH, Denise (Jack) Sheets, Bryan, OH, Cindy Randel, Farmington, MO, Brenda Randel, Fremont, OH; grandchildren, Heather (Jeff) Cassano, Matthew (Michelle) Davis, Tim “Ryan” Bollenbacher, Josh “Jake” Davis; nine great-grandchildren and several nieces and nephews. She was preceded in death by her parents; husband, Dale A. Randel; daughters, Debbie Kuhn and Peggy Randel; sister, Wilma Seibenaller; brothers, Harold and Ed Hall. In lieu of flowers memorials can be made to the Activity Department at Hillside Country Living or the American Heart Association. As one of Nancy’s caregivers at Hillside I offer my sincere condolences. Nancy was a fun loving, caring, giving lady whose strength and perseverance was an amazing example to all who helped care for her. She will be missed tremendously by me especially. We had so much fun together during activity times. Halloween will never be the same. God bless all of you as you deal with your loss. Heaven got a whole lot better! Wonderfully delightful lady. Your mother and our mother became “fast” friends when they roomed together at Hillside. I’d not seen Nancy much these past few years but would try to drop by when I’d be in the area. Our last visit was December 20th to offer some Christmas cookies. We had a nice visit. Through all her pain, she always had a smile and a kind word. Our sympathies come your way. Sorry for your tremendous loss. Nancy was a great lady and I am glad that I was allowed to care for while making some of her favorite meals. Nancy and I would always joke with each other and she always cared about how I was doing and my children. Thank you for allowing me to meet and enjoy the time I was allowed with her. So sorry for the loss of your mother. I have many fond memories of your mom and family from when we were neighbors on Cole Rd. Our condolences to Nancy’s family. We are friends with Denise and Jack Sheets and they would tell us wonderful stories about Nancy.